I know how blatantly oversimplified that statement sounds. It may even sound a little silly, but it’s not. I approach my post today without a lot of inspiration. I was actually not sure what to write, so I threw a quick prayer to the Lord, and just felt like I should start to write. The thoughts flowed instantaneously. So often we take writer’s block, or creative block or (whatever realm we feel called to create in) block as an excuse to not create. That’s counter productive. How often has a blocked day turned into a blocked week, then to a dry spell, then finally to I used to draw/paint/write, etc.? I’ve seen it over and over again. People… gifted people… who simply lost inspiration one day and gave up. DO NOT DO THAT! You are talented and gifted for a reason there is art to be made, work to be done, and a world to be changed and it takes all of us doing our best at any given moment. Inspiration is not something to be waited for, most of the time, it’s something to be hunted down and put to work. Most of the time, it all starts with starting, putting pen to paper, brush to canvas, fingers to keyboard… If you don’t know what to do, just start doing something. Don’t flee to a distraction, don’t check your email one more time or start commenting on Facebook, Tweeting, you know the drill. Instead look to the things that inspire you, and start the hunt. I’m currently reading by Julia Cameron and that book hammers two ideas—morning pages and artist’s dates. Morning pages is a committed discipline to write at least three pages every morning, first thing. It’s free writing, no holds barred, just start and let it flow. I can’t tell you how many times this has spun into one of these posts. It gets my mind thinking and jumpstarts creativity. Artists dates are committing to a time each week when you do something that inspires you. It’s taking a little time out to nurture your creativity. Again I find these to be extremely helpful. It doesn’t have to be much. Any little thing will do as long as it fires your creativity. Sometimes for me it’s as simple as my early morning prayer walk. Sometimes it’s a walk around the flea market looking for something unique or a matinee movie. It doesn’t have to cost a lot (or anything at all), but it gets you started. As a person whose passion is to help people embrace and enhance their creativity, my hope is that my blogs will help people get going. I try to come up with a lot of ways to do that, including several books designed to just help people get started. Because in the end that’s what it all comes down to. 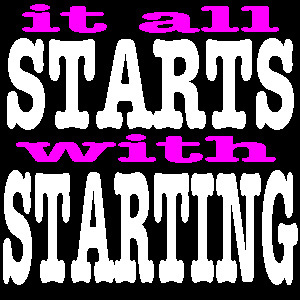 It all starts with starting. What can you start today? Today is one of those days where I force myself to look at logistics and all the other stuff that makes my creative eyes glaze over, but that need to be done for the good of the project. 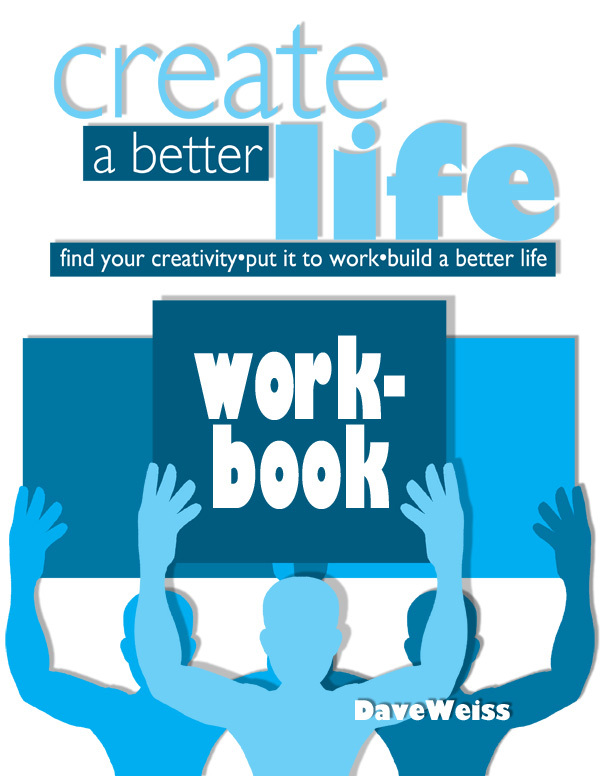 I continue to work on finalizing all the details of the presentation for the webinar ad the work book. Also I am pretty dissatisfied with the designs I posted last post so I need to reconsider them. (I could still use comments from you on those by the way.) One of the struggles of creating things is there are times where you are so close to the project that you have a hard time seeing what needs to be refined. A second set of eyes is always helpful. The main thing though is the deadline. I have decided to make a slight adjustment. I am definitely still on board for finishing the project by May 30, but I have decided to put the webinar itself off until June 5. The reason for this is really simple. I want to make the most of this project and opportunity and I have been so consumed with creating it and working out al the details that I have really not promoted as I need to. The landing page still needs some work and I feel I need to give a few days for people to get signed up. So look for the webinar on June 5. Still working out a time and I would love your input on this as well. Today I worked on cover designs for the work book and a graphic for the webinar. In truth I am not sure I am happy with these designs yet, but I did say I was going to share steps and missteps. I’d be interested in your opinions on these pieces. What could be done to make them better? Do they communicate what I am trying to say? A word about design. For some of you, design like this is in your wheelhouse. You design for a living or you are a gifted amateur. For the rest of you, this is the time to bring someone in. It doesn’t have to be expensive. There are many people out there that are trying to get started in the business of design and some of them would be willing to help you out. If you are on a low budget, seek them out at art/design schools, social media, etc. There is something to consider here though. I have done hundreds of pieces of art for free, because I have either believed in the cause or I just volunteered to help someone out but I would never ask someone else to do something for free and you shouldn’t either. You may not have a huge budget, but “a workman is worth his hire” as the saying goes. Be as generous as you can to get the best work you can, and whatever you do, do not ask someone to do something for “exposure.” No other profession is asked to work in that way. Do unto others as you would have them do unto you. The idea behind the men holding up the pictures is that amazing and scary time when we have to take what we created and share it with the world. As I draw near to this point, I am really feeling that tension. How about you? Make no mistake about it, it is on the other side of that presentation that the better life begins. Well by this point, five days from the end of the project, most of the content has been created, much of the work has been done. I’ve got lots of detail work to do but it’s pretty mundane. Today I am working on a product that will be offered in my webinar. All the writing is done, so it’s really just an assembly and editing project that will take a few days. 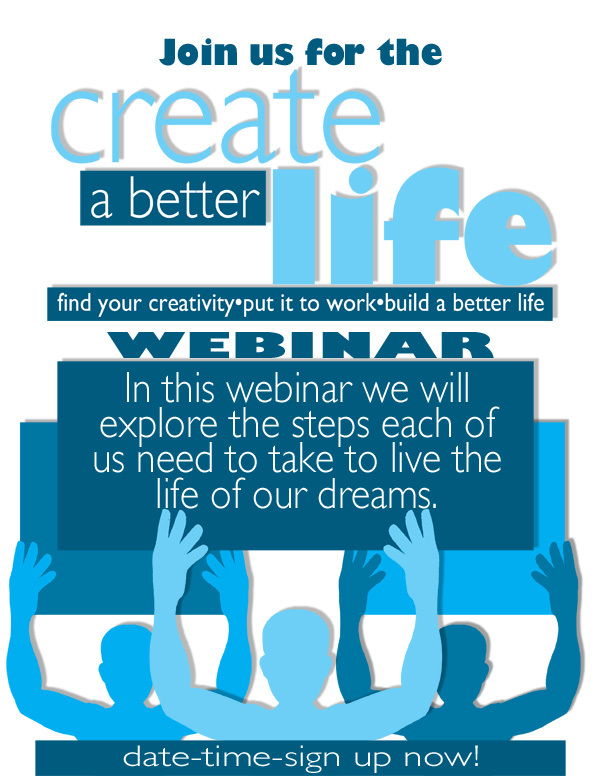 The webinar needs to be assembled as does the downloadable workbook. A good bit of work needs to be done, but the details will be somewhat boring. There is something else to considered and this is what I wanted to touch on today. You see today is a holiday. I’ve recommended taking one day off each week, but what do you do when a holiday falls in the middle of the week. It depends on your perspective and your level of determination, but I do want to say this, this is not religion, this is work and there are times where you can put work aside for a while, especially a holiday. Please keep something in mind, and I know I have said this before, but we are building a better life and the people we love are a huge part of this. If we push them aside, I don’t know what it is, but it’s not a better life. There will come a time in our lives where we will regret the times we’ve missed. Do not sacrifice the moments that make life worth living. Holidays are a gift. Use them well. Create a better life, and live.